Posted July 19, 2018 by Reed & Associates & filed under Press Releases. 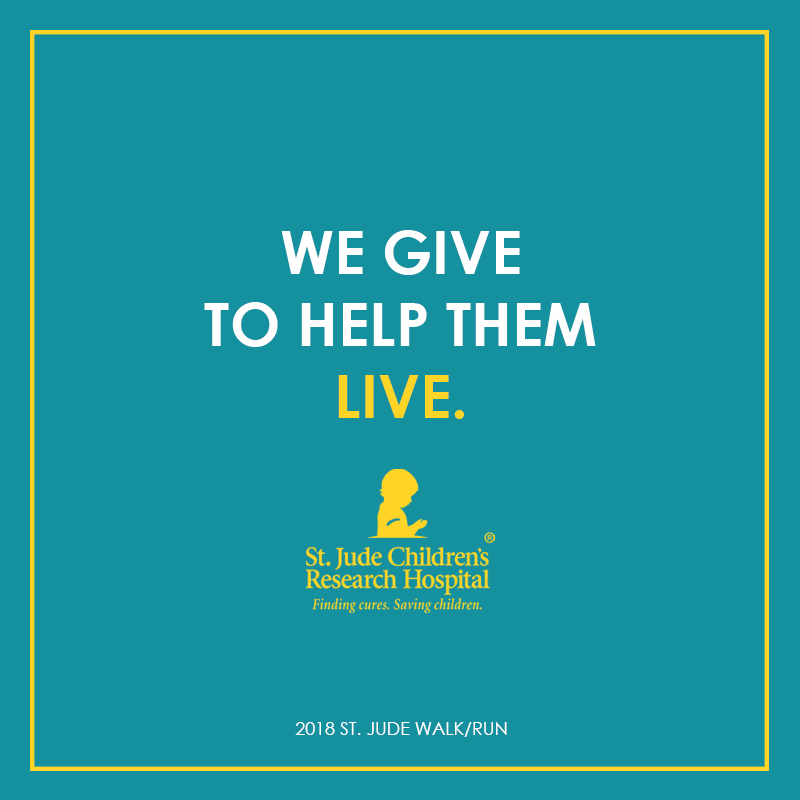 It’s that time of year…we’ve officially kicked off our fundraising campaign for the 2018 St. Jude Walk/Run to End Childhood Cancer. The national event is happening in multiple locations throughout the country on September 22nd. It will be taking place locally at the Norfolk Botanical Garden. Now in our 7th year participating, and as the top fundraiser in Hampton Roads 5-years running, we’re as motivated as ever to make a difference in the lives of St. Jude children and their families. When we hit our personal and overall team goal, we’d be over the 100K mark for all-time funds raised & donated by R&A. St. Jude families never receive a bill from St. Jude for anything – because all a family should worry about it helping their child live. 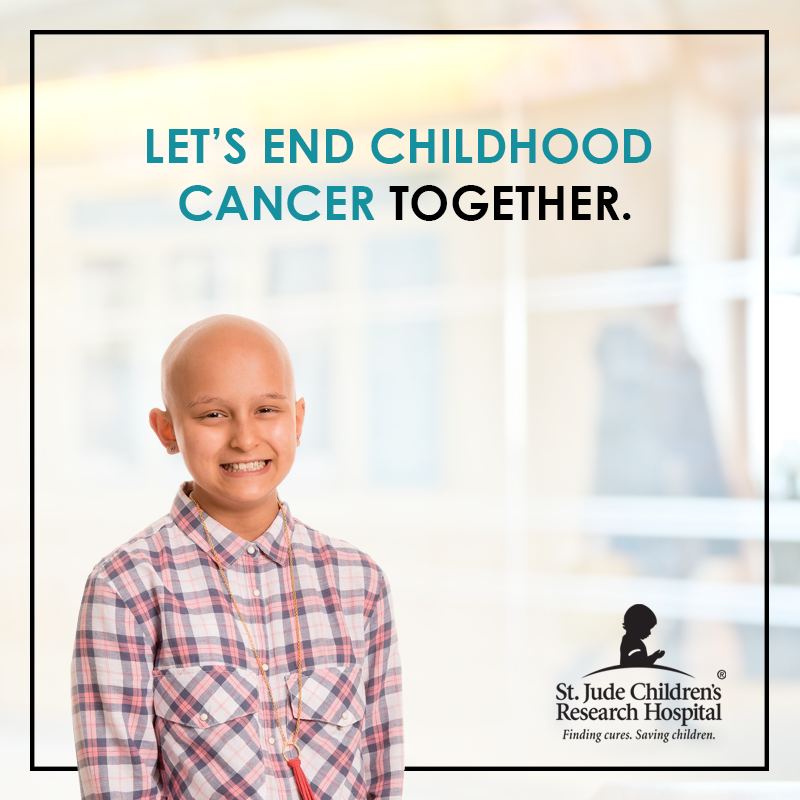 St. Jude has helped push the overall survival rate for childhood cancer from less than 20% when it first opened its doors to 80% today – and 90% in the next decade. A month after an emergency room visit during Christmas of 2015, Muhammad was diagnosed with neuroblastoma – a cancerous tumor. 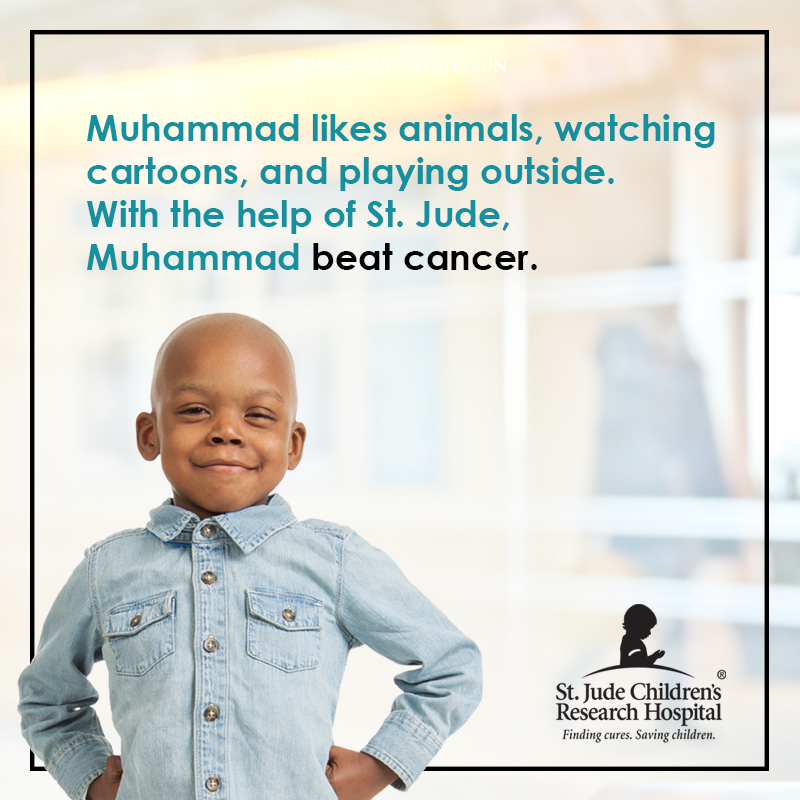 Thanks to the treatments and care he received at St. Jude Children’s Research Hospital, now Muhammad only returns for check-ups. He is back to his loving self who likes animals, watching cartoons, and playing outside. Every September, which is Childhood Cancer Awareness Month, supporters nationwide join together in the St. Jude Walk/Run to End Childhood Cancer. This family-friendly walk/run helps raise funds to support the lifesaving mission of the hospital. It makes us feel alive to join arms with others in the fight against childhood cancer and other life-threatening diseases and every dollar makes a difference. $3 – Help St. Jude provide pediatric isolation masks that help protect patients with compromised immune systems. $10 – Help provide a new toy for hospital play areas or recreational areas at St. Jude housing facilities. $30 – Help provide a St. Jude family with meals for one day in Kay Kafe, the St. Jude cafeteria. $57 – Help provide necessities for parents who may have hurriedly left home after their child’s diagnosis. $100 – Help provide a platelet count test for two patients. Platelet counts are among the tests doctors use to monitor patient health during treatment. $250 – Help provide a meal card for a St. Jude family for one week. St. Jude provides patients and their families with meal cards for breakfast, lunch, and dinner in Kay Kafe, the hospital’s cafeteria. $500 – Help provide one platelet transfusion. During chemotherapy, the platelet count of patients can drop to dangerously low levels so platelet transfusions are essential for treatment. $750 – Help provide two days of oxygen for a St. Jude patient. During treatment, St. Jude patients may need oxygen to help their bodies function properly and aid in healing. $1,000 – Help cover about two-thirds of the cost of one day of chemotherapy. Treatments invented at St. Jude have helped push overall survival rates for childhood cancers from 20 percent when the hospital opened in 1962 to more than 80 percent today. We all have something to give. Especially when what you’re really giving is hope. We invite you to donate to our team page, and/or learn more about the hospital and how you can get involved, too.